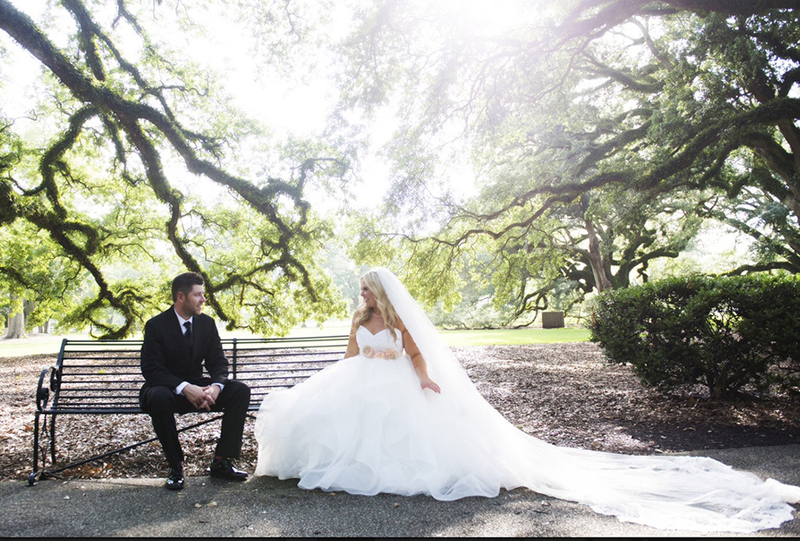 A Southern Fairytale would be the best way to describe this spring Louisiana Wedding. 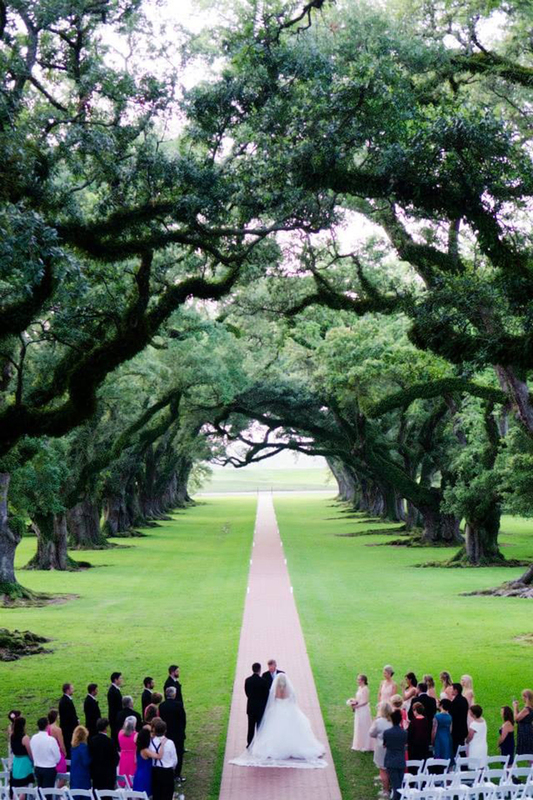 Amy and Casey were married on the most ethereal plantation that looked like it was straight out of The Notebook. Our bride wore the most amazing Hayley Paige gown with a blush sash to compliment the beautiful florals from Poppy and Mint. Amy's Bridesmaids all wore blush gowns to look classic with the groomsmen's black tuxes. Everyone was gathered for the ceremony to peer down a long driveway with mossy trees arching over the drive. The sun peeking through the trees created the perfect lighting setting for the couple's southern ceremony.